We have been busy doing some fig planting project at our home for the past one month. 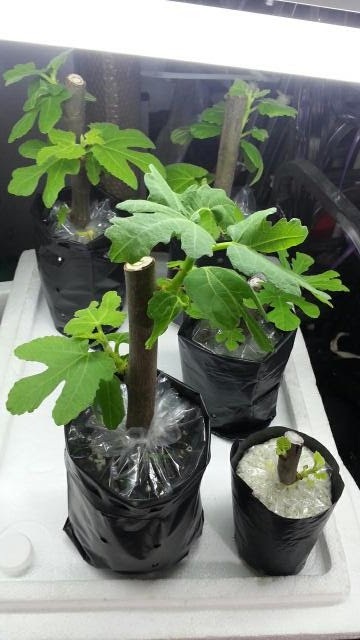 I ordered some hybrid fig tree cuttings from the local planter, put them in the soil and after 2 weeks or so of tender nurturing care, the cuttings have produced new shoots coming out like these..
fast forward yesterday, they have grown a bit more like the photo below. 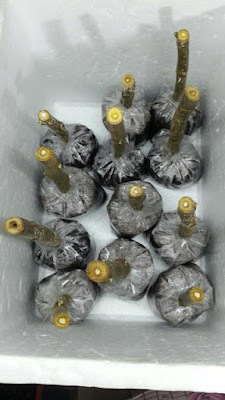 Since their roots are still not stable yet, it is not advisable to place them outdoor. Oh yes, the little one at the bottom right is a cutting from Spain, Don Juan, we are so glad to see its new shoots. I ordered yet another batch of cuttings from the same planter last week. They are now in the "incubator" waiting for the new roots and shoots to come out. Hopefully all our cuttings will live. Avocado! I love the fruit. All the best! 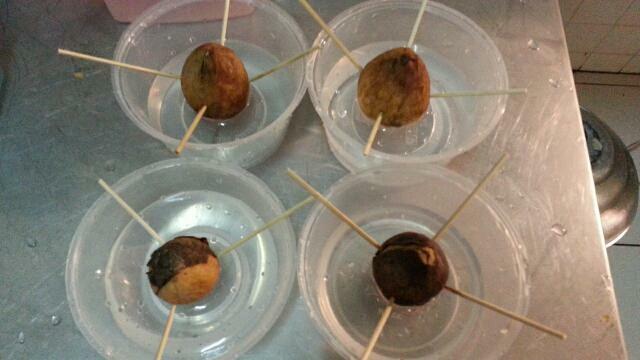 Hope you get to grow sone avocado trees. 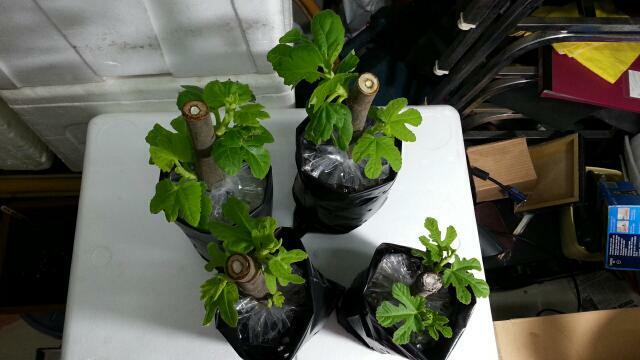 At first glance I thought the fig cuttings were the fruit! Heh so you are trying the avocado stick thing. I am quite excited to see if it works! But I guess that even if it does, it will be many years before you get fruit from the tree. Not bad after waiting for a month, then now can see the result. I think you can bring some and sale it at tamu. Disclaimer : Comments / Posts with inappropriate content will be removed! Welcome To Shirley's Luxury Haven!